Here is a recipe for a really awesome and simple dish called živánska. There is really no way to translate the name, since it doesn’t mean anything, so I decided to go with meal in a foil. Because foil (alobal) is a crucial part of this dish. It is often baked in the fire pit during camping trips. The wrapped meal is placed in the hot coals and left there for an hour to cook. You can see great photos of this here. 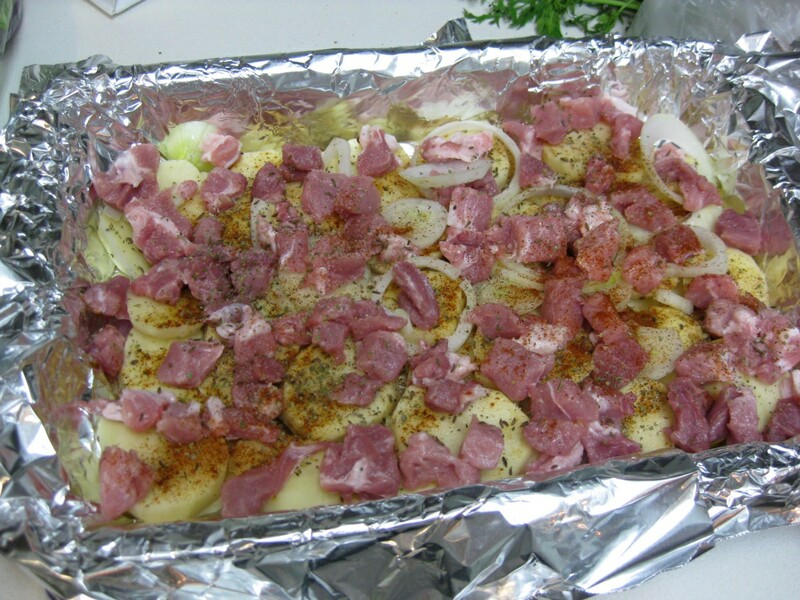 In that Slovak recipe above (for those of you who don’t speak Slovak), the folks used tomatoes and a whole hunk of meat smeared in mustard. My mom makes this dish bit differently. This is her recipe. We actually made it, along with the soup from bones, while baking Christmas cookies few weeks ago. 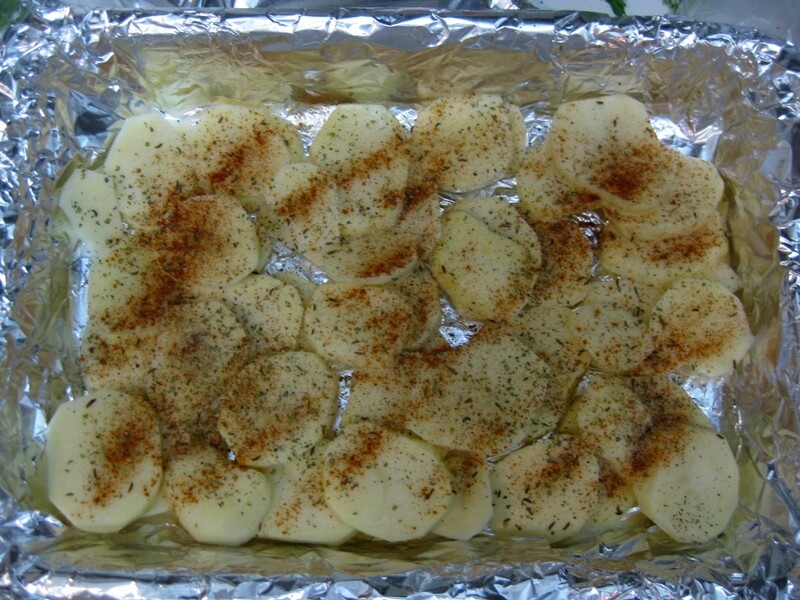 We baked this dish at home, so we used a casserole pan lined with the aluminum foil. When you do this, make sure to use much more foil than the pan is wide, since you will need to cover up the top. 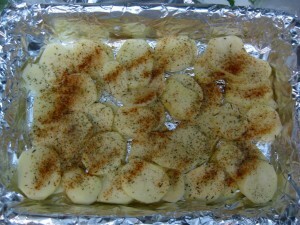 Peel and slice potatoes and place them in a layer on the bottom. Season heavily with salt, pepper, paprika, marjoram, and whatever else you like. Then add a layer of meat, cubed. Season heavily again. Then add cut up onions. Season heavily. Then add more vegetables. We used celery, carrots and green peppers. Season heavily. Add bacon. Season heavily. 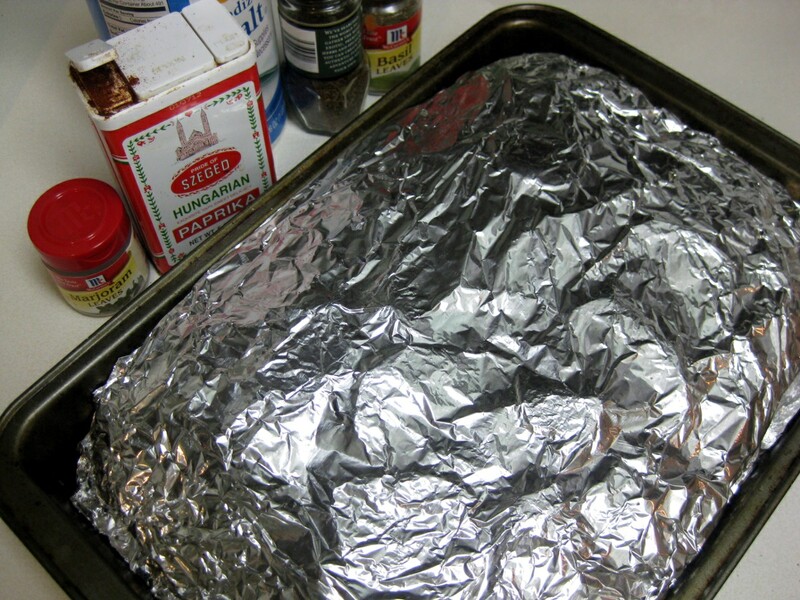 Fold the foil over, and then cover with another layer of foil, which you tuck under. Bake for a while, at least an hour. It’s best to avoid checking on the dish too often, so the juices don’t leak out. 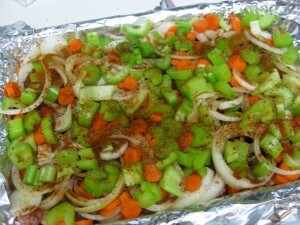 You may need to season the dish more when ready – despite all this heavy seasoning, it may need more. Serve just the way it is. Enjoy! My wife calls this Slovak shish kebab. She says the word is derived from the Slovak words for life or to live, zivot or zit’ (I don’t know how to put the hacheck on the z). Hi George, yup, the Slovak word for life or to live is život and žiť. I definitely makes sense the name of this dish is derived from this, there is no other Slovak word I can think of that comes closer to živánska. And yeah, sometimes this dish is indeed made like shish kebobs. You could put the ingredients on a roast. But I think it’s easier to just place them in a foil like this. 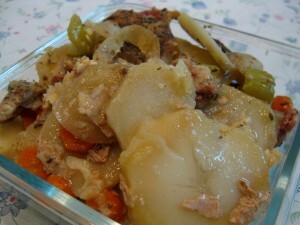 This way the juices also don’t leak out and you end up with the potatoes having a delicious bacon flavor to them. Name Zivanska derived from word ZSivany which means in hungarian language rober or thief.In eastern slovakia word zivan still means thief. OK, so lets cook some of that zlodej meal. What the heck is your problem?! Thank you for your comment, Laco. I think measurments are wrong 75 grams of meat is just 2.5 ounces of meat. i think it should be 75 dekagrams or 26 ounces of meat!! that’s more like I would do it. 2.5 ounces of meat would not do it! You underestimate the deliciousness of this dish-absolutely amazing! We do make it differently though. Ours is done like a shish kebab layering thinly pounded beef, pork, and veal with bacon, onion, and potato slices in between on each kebab. 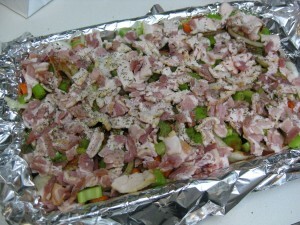 All ingredients are heavily seasoned with black pepper and salt before they are layered. 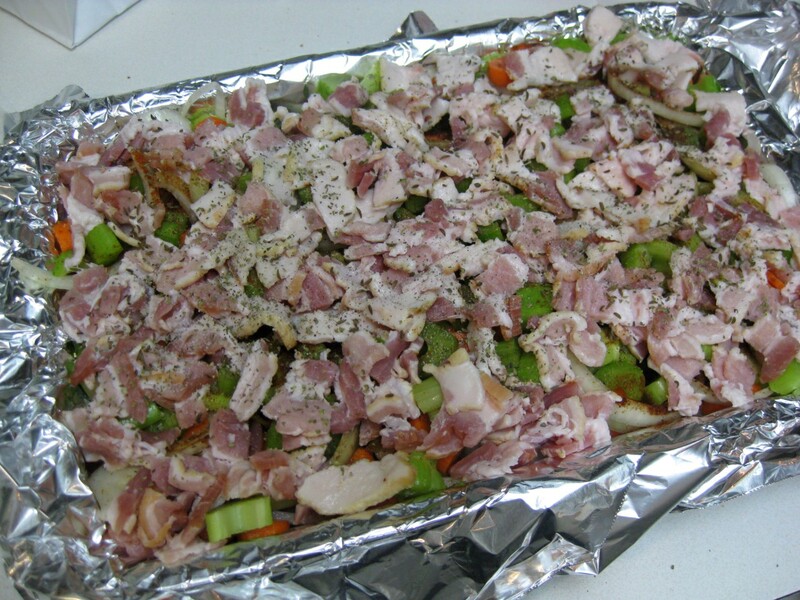 Each kebab is wrapped on foil and baked for several hours while the juices and bacon flavor everything sooo well! These are a true treat, given how time consuming they are, but well worth it!